I would now like to take a moment to explain in greater detail just what I hope to do with this blog. By helping you understand just what my purpose is, I think we could avoid some major misunderstandings down the road. Some of you may be asking “What motivated you to start this blog?” or “What motivated you to get involved in LDS apologetics?” As I explained in my “About Me” post, I come from a strong, active LDS family which is proud of its Pioneer heritage. While on my mission in Virginia, as I previously mentioned, I encountered a great deal of hostility toward the LDS Church (after all, I was in the Bible Belt). Due to my great love for my Pioneer heritage, and my strong testimony in the restored Gospel, this hostility greatly disturbed me; and I had a great desire to refute the misconceptions and distortions of truth to which I was being exposed to. And, at times, I did. Thanks to my training in debate, so long as discussion was focused on doctrines and scripture, I could hold my own against some very sharp scriptorians, and I even put a few people in their place. When I encountered other anti-Mormon attacks, however, such as the Book of Mormon authenticity or the character of Joseph Smith, there wasn’t a lot I could do (since your resources as a missionary are limited to the Standard Works and the Missionary Library). I was familiar with some of the answers, but didn’t have any sources. Nevertheless, I had a strong desire to answer these claims, and often times when we were given anti-Mormon pamphlets, I would read through them and (again thanks to my debate experience) very readily point out the flaws in their argumentation and logic. Upon getting home I began doing a lot of research on the matter, and even started writing a book. As my life got busier, work on my book (a response to some specific anti-Mormon literature I encountered on my mission) got less and less frequent. Still, I kept reading and researching, and I was ever more fascinated by what I would find. Due to my habit (or talent) of arguing, the more I learned, the more I wanted to make my own case for the restored Gospel of Jesus Christ. Then, just this last February, I attended a lecture on Hugh Nibley as an apologist, by Daniel C. Peterson. In that lecture, he explained how he feels that it is the covenant responsibility to defend the LDS Church for those members who have the ability. Upon hearing that, and feeling that my training in debate provided me with skills necessary to respond to criticisms against the LDS Church, I came to believe it is my duty and responsibility to defend my faith. Having the desire, and feeling it was my responsibility, to refute the claims of the critics, but not having time to dedicate toward my book like I had hoped, I thought that a blog seemed like a good out let. Here, I would be able to write in short intervals on specific topics, and get feedback from anybody who happened upon my little space on the web. While some may ask, “If you know that there are problems, how can you believe the church is true?” The fact is, we don’t have all the answers and we never will. That is why faith is a necessary element to any belief system. God did not intend for us to be able to figure it all out without having to rely on Him for guidance. Others may ask, “If God is the head of your church how can these problems happen?” What we must remember is that while this church was established by God, He uses imperfect men to run things down here on earth. Yes, they are inspired men, but imperfect nonetheless! They make mistakes, and sometimes those mistakes cause some serious problems. Why does God allow them to make those mistakes? God allows us to all have our agency, even His chosen servants; but if we believe that God is in control, we can trust that things will work out for the better in the end. No amount of argument or reasoning on my part can convince you or convert you. Just as I have already said, there are perfectly legitimate reasons to doubt the LDS Church’s truth claims. However, I also believe that there are perfectly reasonable, legitimate reasons to accept the LDS Church’s truth claims as well. This is why one “cannot arrive at absolute truth by human means.” Two perfectly rational people can both arrive at completely different conclusions, and both could use very reasonable, sound logic to explain how they arrived at their conclusions. How can this be? Why would they come to different conclusions? I believe it is a matter of perspective. We all start from a different point of view, and so we then arrive at different conclusions. What I hope to do here is help you see things from my perspective and by doing so I hope to create a “climate in which belief may flourish.” I hope to help you realize that some very strong arguments exist for the authenticity of the Book of Mormon and for the truth of the LDS Church, and for other issues in relation to LDS beliefs. 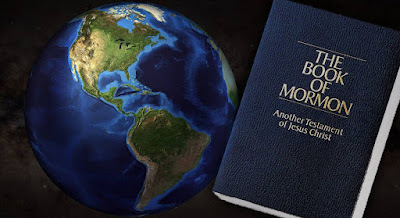 I hope to demonstrate that the Book of Mormon is not something to be taken lightly, or to simply sign off as a product of an over active imagination; that there are some powerful evidences that must be considered before one decides that the book is false or uninspired. I hope to do the same with many other aspects of LDS belief. While I hope to be persuasive, I do not wish to be confrontational. My goal is to promote understanding. As Elder M. Russell Ballard said, “With understanding we can strengthen relationships, revitalize neighborhoods, unify nations, and even bring peace to a troubled world. Without it chaos, intolerance, hate, and war are often the result.” The Gospel of Jesus Christ, as it is found in the LDS Church, has given me a great deal of joy and happiness. I would hate for others to miss out on the opportunity to experience the same joy and happiness because they were misinformed, they misunderstood, or they had misconceptions about the LDS Church. When one has a proper understanding, they can then make an informed decision. For anyone who is not LDS who may find my arguments insightful or compelling, I encourage you to further seek out the truth. I ask you to get a copy of the Book of Mormon and read it, and then I would encourage you to pray and ask God for yourself – because that is the only way you really are going know (See Moroni 10:3-5). I hope you now have a better understanding of my purpose for this blog and what I am hoping to do here. Right now, I would just like to highlight a few other reasons I have for this blog. 1. Share Scriptural and Doctrinal Insights: While the majority of the content here will focus on the scholarly and apologetic insights of the scriptures, doctrines, etc. ; On occasion I may take the time to point out ideas, thoughts, or messages that I found interesting directly from the scriptures themselves. My purpose in doing this is simply to build faith and help others see ways in which they can “liken all scriptures” to their own lives (See 1 Nephi 19:23). I don’t do this because I think my insights are better than others, but just that my insights may be different than others, and might help you see the scriptures in a way you had never thought of before. Like I said before, we all have a different perspective, and being able to share our different perspectives leads to greater understanding. I hope that when I do share scriptural or doctrinal insights that others will feel free to comment on them with their own insights. 2. To Help Me Focus on My Own Studies: I have the bad habit of wanting to study everything all at once, and all too often I try to do just that. The results are that I typically feel scattered and disorganized. By writing on specific topics, I allow myself to focus my study efforts on one thing at a time, which always results in a more productive experience for me. 3. To Ultimately Write a Book: As I already mentioned, when I first got home, I tried writing a book. What I quickly learned is that to write a book is a very time consuming process, and it requires a great deal of research. I learned that it would be much easier to simply focus on the issues I would like to cover in my book individually, and then over time the information will accumulate and eventually I’ll have enough to write about. By writing on each issue one at a time I preserve my original thoughts, and by posting it online I can share my thoughts and get feedback from others, which can help me in the writing process. 4. To Follow the Instructions of the Lord: Now I’m not saying that the Lord specifically instructed me to establish this blog, but he did say, “seek ye diligently and teach one another words of wisdom; yea, seek ye out of the best books words of wisdom; seek learning, even by study and also by faith.” (D&C 88:118) Neal A. Maxwell added that we could be better “followers [of Christ] if we engage in individual gospel scholarship.”  This is just my way of trying to follow that counsel and admonition from the Lord and one of His apostles. 5. For My Children: Lastly, but certainly not least, I’m doing this for my kids. Now, I’m actually not a father right now, but I hope to be someday. When I do have children, I of course plan to teach them all about the restored Gospel, about their Pioneer forbearers, and I hope that they too will take great pride in our heritage. However, I’m not going to discourage them from asking questions and seeking answers. In fact, I want them to have questions, and I will encourage them to seek out answers. I want to be an example to them, and I also want them to feel comfortable coming to me with questions, talking to me about their doubts; and I want them to have confidence in me and the answers that I can provide. At last, I would just like to put a disclaimer on all my work. I am not an authority for the LDS Church, I am not a scholar, and I am not always right (though I may act like it sometimes). Although I will always try to research things out and draw sound conclusions from the information I have provided, I may not get it right. Sometimes I might come to conclusions that are not justified by the evidence, or I may misread or misunderstand the information. I will try and be careful in my reading and I will seek to avoid misrepresenting the truth. I will never intentionally try to manipulate the facts. However, since I am untrained as a scholar and imperfect as a person, it may happen unintentionally. For this reason I will try and provide links for my sources as often as possible. I will also try and provide links to additional sources where you can learn more about the issues from more “official” or “scholarly” sources. Finally, I would just like to note that all views and opinions expressed herein are mine and mine alone. They should not be viewed as the official position of the LDS Church or any other organization. I take full responsibility for my views. 1. Daniel C. Peterson, “Nibley as an Apologist” FARMS Lecture Series on Hugh Nibley, given on Feb. 4, 2010. Also see Daniel C. Peterson, “Introduction” FARMS Review, Vol. 1, Iss. 1 (1989) pg. v-x. Thanks for another good post, Neal. I have a couple quick questions, though. What are the consequences of not believing in Mormonism? Is it just that I may be robbed of opportunities for "joy and happiness," or are there more serious eternal consequences? Also, how can your God justly withhold blessings (either temporal or eternal) from those people who you admit have "perfectly legitimate reasons to doubt the LDS Church’s truth claims"? Sorry for taking so long to respond to your questions. This week was unexpectedly busy, as I just got thrown into a temporary second job. Due to my current situation (which should only last a couple of weeks), I have not had a lot of extra time. Because I accept the LDS Church to be what it claims to be (namely God’s true Church), I do ultimately believe there are eternal consequences. Though, in my view, the “eternal consequences” are essentially the same as what they are here on earth (missing out on opportunities of joy and happiness), but on a higher scale. I believe that those who have accepted what God has revealed will be given more and greater opportunities for joy and happiness in the eternities that others will not be able to enjoy. First, let me clear up what I mean by “perfectly legitimate reasons” (or, as I worded it elsewhere “very reasonable criticisms”) for not accepting the LDS Church as what it claims to be. By this, I mean reasons/criticisms that are based on actual facts (and a correct representation of those facts) and that are understandably viewed as questionable from a certain perspective (For example, I understand why some people have a hard time with polygamy, blacks and the priesthood ban, etc.). I think it goes without saying that I personally don’t hold such a perspective, and have adopted a point of view of such issues that sheds a more positive light on them. I also think it is important to keep in mind the context in which I made the comment about “legitimate reasons” to doubt. I contrasted it with how I feel there are also “legitimate reasons” accept the LDS Church, and because of these contradicting viewpoints we must seek beyond human means in order to determine the truth. This implies that which is stated earlier in the posting about the necessity of faith. I also explained how I feel these differences are a result of perspective. I see a difference in our perspectives evident in this question. In your mind it is God who withholds the blessings, but as I see, I view it as people withholding the blessings from themselves by choosing not to accept the conditions upon which those blessings are offered. In regards to the subject matter of this blog, we probably agree very little on what the truth is, but I think you and I would agree that truth (whatever the truth is) is empowering. When we accept and embrace the truth and live by it, it enriches our lives. When we fail to accept to truth, we also miss out on the enrichment and empowerment in which it offers. It doesn’t matter WHY we don’t embrace that truth, if we don’t it cannot enrich our lives. Take, for example, the US tax system. If know everything about that tax system, then we are empowered by that truth to be able to claim all the deductions, exemptions, and credits that we are eligible for, and thus get the maximum amount of money back on our tax return. However, without that knowledge, we are helpless to make those claims, no matter how well qualified we are for any specific deductions or credits. Now, even if we have that knowledge, unless we use it to claim those deductions, then we won’t get them. Once again, it doesn’t matter WHY we failed to claim them, we won’t get that money back, DESPITE the fact that we may be completely eligible for them. Now God operates a little differently than the IRS, and it much more merciful. As I see it, God desires for us to know the truth so that it can provide for us the enrichment and empowerment in our lives that I have talked about. So, he sends prophets/apostles to give the most important and most empowering truths to us. We then have the choice to accept that truth and let it bless our lives, or reject that truth and miss out on the benefits it could offer. Again, it doesn’t matter why we choose to reject that truth, we don’t get those blessings without it. Not because God wants us to suffer or punish us, but because it is only by that truth that those benefits can come (see D&C 130:20-21) . God also understands, however, that we are all limited by our flawed perspectives, and this sometimes hinders our ability to accept the truth. Though we should (and I think most people do) try to overcome our perspective and see things objectively, I don’t think many (if any) ever succeed in this effort. Only God knows how much your personal perspective hinders your judgment, and I think we will adjust his judgment accordingly. I also believe that God will give us the opportunity to accept any truths we missed because of limited perspective prior to the judgment (either in this life, or in the Spirit World). Anyway, I hope this helps you understand my perspective on this. Sorry that it is so long.